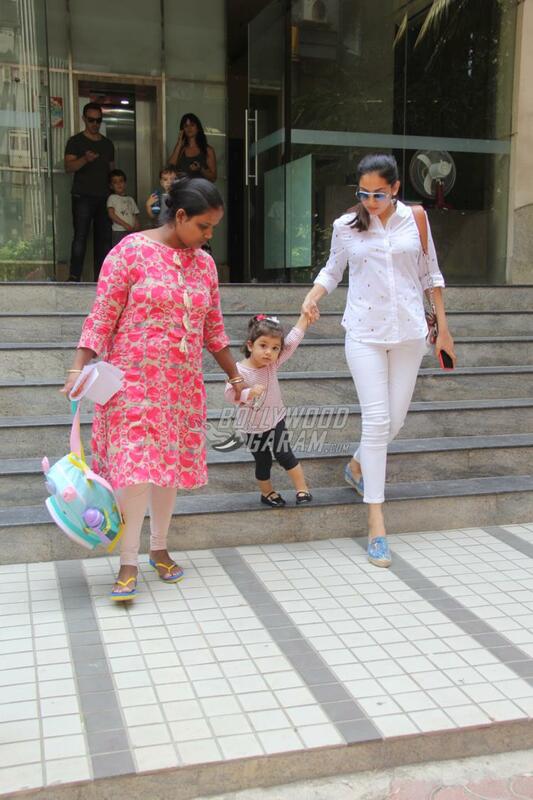 Misha Kapoor is one of the popular star kids in Bollywood, who is often followed by the paparazzi. 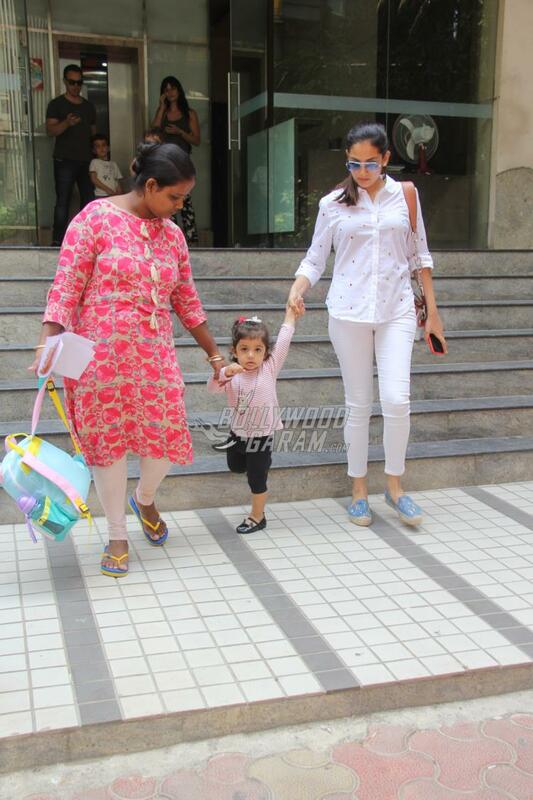 Whether it is a casual outing, shopping or play school, Misha’s pictures go viral on the internet in no time. 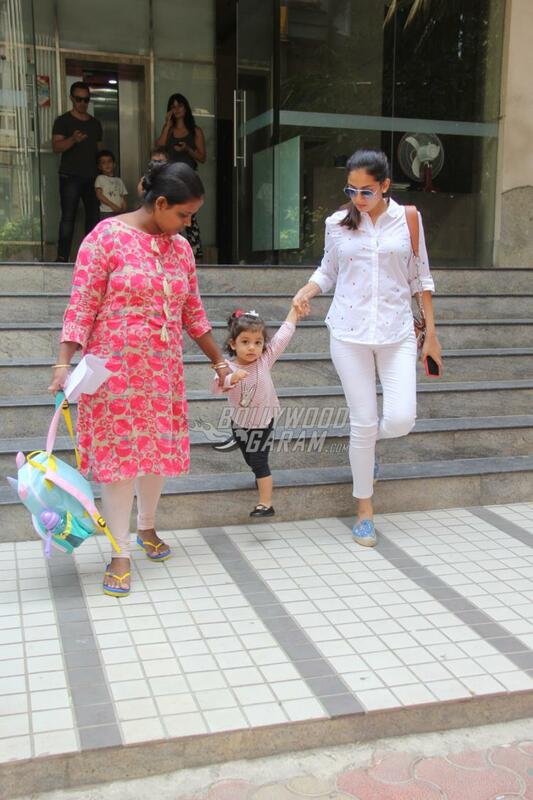 Mira Rajput Kapoor was snapped picking up daughter Misha from the play school in Mumbai on April 28, 2018. 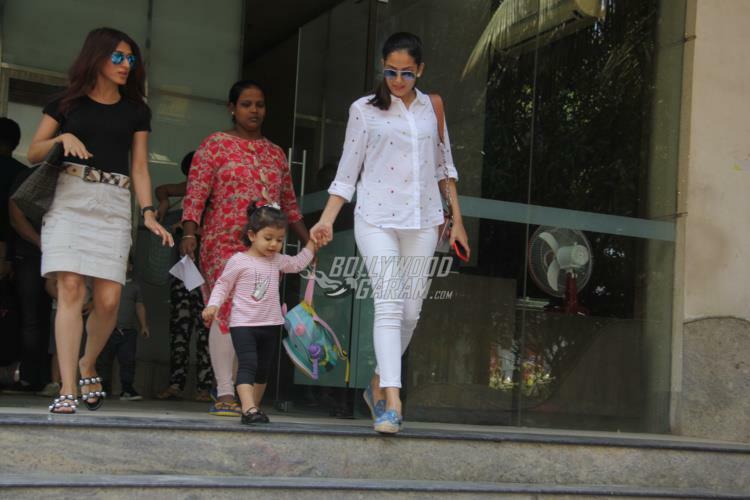 The 24 year old looked pretty in a dotted white shirt and white pants while little Misha looked adorable in a striped t-shirt and black pants and was accompanied by her nanny. Mira Rajput recently announced that she is expecting her second child with husband Shahid Kapoor through a cute Instagram post. 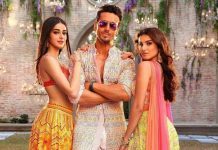 The picture posted by Mira showed Misha Kapoor in a joyful pose as she poses with a sketch of balloons with the text big sister. Misha has started attending playschool and is often seen being picked up by mom Mira. 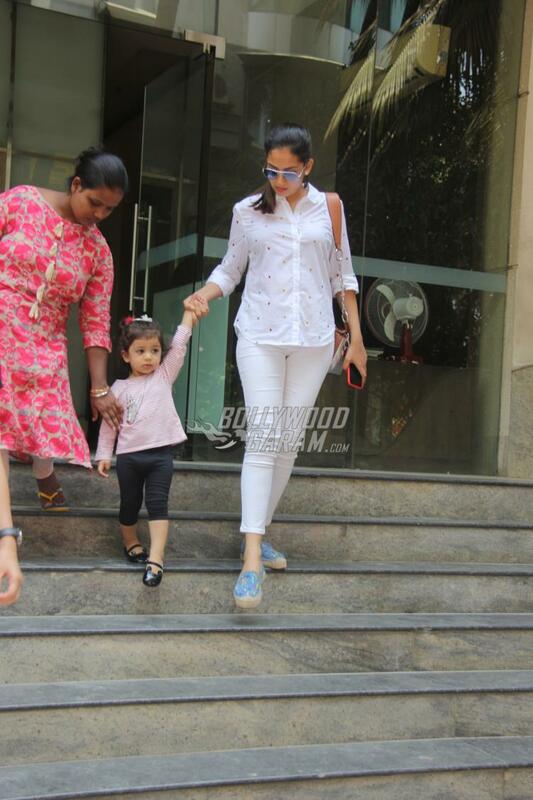 Mira Rajput can be seen sporting a cute baby bump.